The weekly motorcycle newspaper that covers Southern California activities like a blanket. Now! A Floyd Clymer Publication. Original, vintage magazine page. 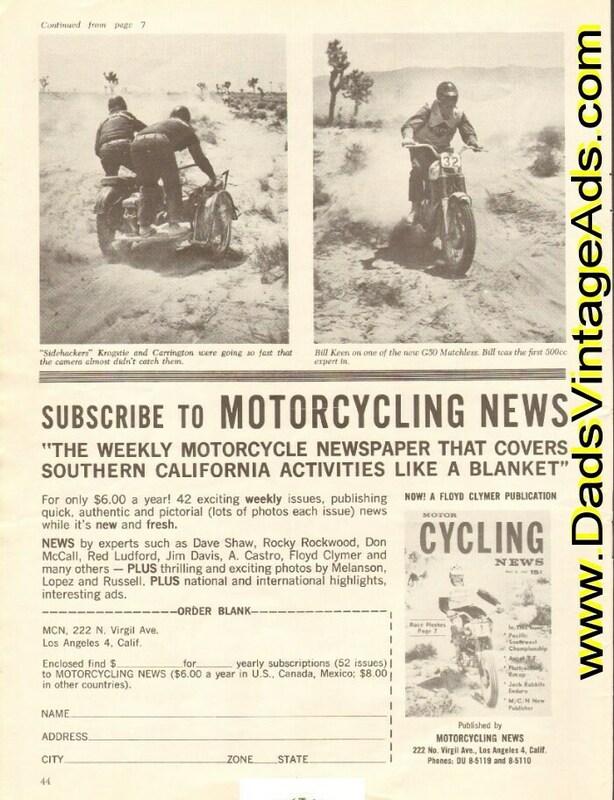 Contains one or more small vintage motorcycle related ads, articles, partial articles and/or photos.